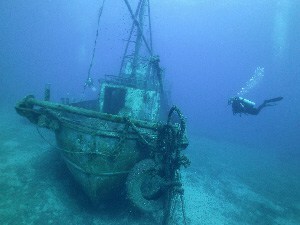 We dive most days around the Protaras and Cape Greko area. 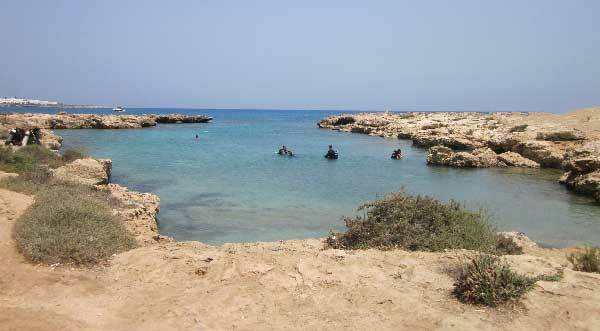 These dive sites offer excellent conditions with visibility up to 30m. The sea is usually very calm and the currents are mild. Our most popular dive site is Green Bay which is only a few minutes from Poseidon dive centre. This is is ideal for Discover Scuba divers and also certified divers, especially those that haven't dived for a while. Green Bay offers an easy entry and exit so is ideal for those not able to climb rocks to get in and out of the water. 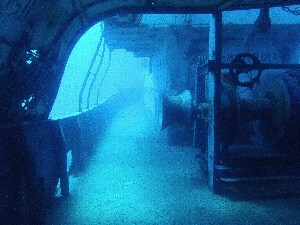 Green Bay 2 This dive site is great for Open Water divers and with the large cave at 12-17m one not to be missed. DeCosta Bay Ideal for Open Water with max. depth of 13m. Good chance to see turtles and stingray here. Crystal Cove Nice dive with max depth 15m and a great chance to see moray eels and octopus. Nemesis/Liberty Two wrecks just off Protaras area. 28m depth and 5 minute swim between them. 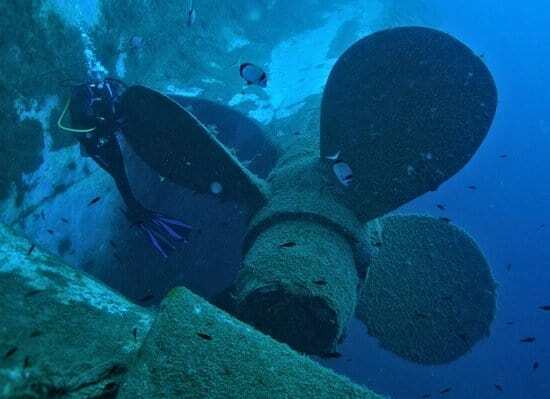 In December 2013 the Nemesis III was sunk in the crystal clear waters just off Protaras. This 24 metre trawler is lying at a depth of 25m and is really fun to dive! It is just a few minutes by boat from Protaras. 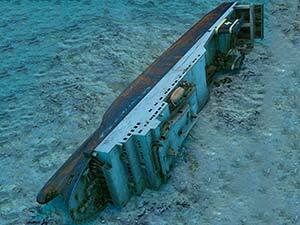 This wreck dive is one of the best in the world due to it's size, depth, visibility and the water conditions. The vessel is a 172m long Swedish ferry boat that sank in 1980 on her maiden voyage due to technical problems that affected its stability. The boat was loaded with over 100 trucks and trailers, The wreck is lying between 42m and 16m. Many of the trucks are visible either lying on the seabed or still inside the vessel.The wreck lies just a few minutes boat journey from the shore. Because of it's size we usually do two dives on each trip.